Lincolnland Agri-Energy, LLC was formed by local people to add value to the agricultural community. Operations began in 2004 after almost five years of planning and have since continued successfully. The company strives to be a leader in bio-fuel production and to be excellent neighbors and environmental stewards. We are here to serve our local farmers, shareholders, and employees. Our products add tremendous value to both the agriculture and energy industries. Bio-fuel such as ethanol is the leading octane enhancer in gasoline today. It is renewable, healthier, cleaner, and less expensive than fossil fuels. Distiller's grains is a high protein livestock feed that is returned to the food chain and helps reduce feed and food costs, typically selling at a discount to corn equivalents. Distillers' oil is extracted and can be used in animal feed or as a feedstock to the biodiesel industry. 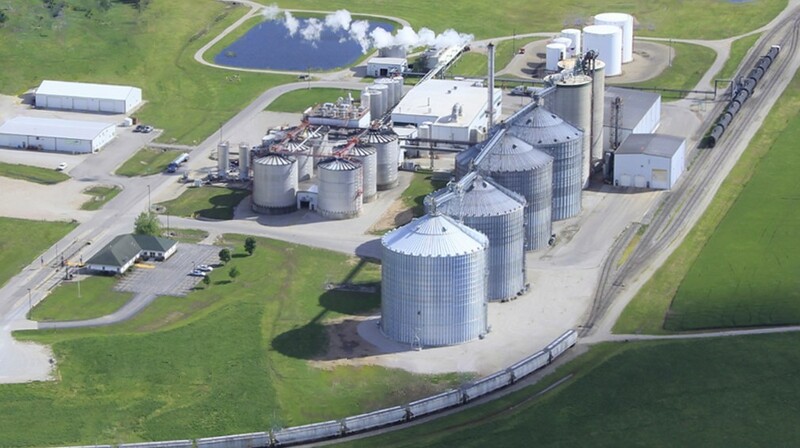 Today, on an annual basis, Lincolnland processes 21 million bushels of locally grow corn into approximately 60 million gallons of biofuel, 160,000 tons of distillers' grains, and 9,000 tons of distillers' oil. The US agriculture and bio fuel industries are proud to utilize our most important resource, fertile land, to produce food and fuel for both domestic and foreign markets. Each business day, our corn and DDGS bid list will be sent to your email address. Email your request to mimia@lincolnlandagrienergy.com or call 618-586-2321, extension 112. This service is provided free of charge. Your information will not be used for any other purpose. Newsletters are available to Co-op Members. Please Login to View. Monday, 4/22: 7:00 a.m. - 3:00 p.m.
Tuesday, 4/23: 7:00 a.m. - 3:00 p.m.
Wednesday, 4/24: 7:00 a.m. - 3:00 p.m.
Thursday, 4/25: 7:00 a.m. - 3:00 p.m.
Friday, 4/26: 7:00 a.m. - 3:00 p.m.
We accept corn that contains up to 20% moisture. Beginning Monday, December 17, 2018, delivered corn is eligible to be enrolled in a Free Deferred Pricing (DP) Program while space permits. This program is separate from any prior or future DP programs and is reserved for new deliveries. Bushels must be priced by Friday, August 30, 2019, and at that time, un-priced bushels will be priced at Lincolnland Agri-Energy, LLC's spot price. Please call Clint Davidson at 618-586-2321, or toll-free at 888-586-2321, with questions. Corn enrolled from July 23, 2018 through December 14, 2018 in the Lincolnland Agri-Energy, LLC 2018 Fall Deferred Pricing Program will be charged $0.04 per bushel per month until priced and must be priced by Friday, August 30, 2019. All unpriced bushels in this program will be priced at Lincolnland Agri-Energy, LLC's end of day spot price. Corn enrolled from June 11, 2018 through July 20, 2018 in the Lincolnland Agri-Energy, LLC Limited Time Free Deferred Pricing Program must be priced by Friday, August 30, 2019. All unpriced bushels in this program will be priced at Lincolnland Agri-Energy, LLC's end of day spot price. Customers can access their business information anytime! corn delivery tickets, settlements, production history, and distillers grains invoices. Setting up a CINCH Customer Portal account is easy. You will be sent an email to complete your registration. You are under no obligation and it's free! Data from February 2015 forward is available. The previous online customer account system has been closed. Login to your Customer Portal account - CLICK HERE.